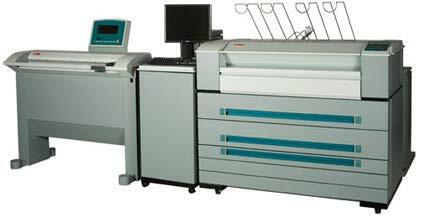 Oce' Wide Format Product Archives | Welcome to JJ Bender! The Océ TDS700 is an award-winning, revolutionary wide format printer that’s easy to use and optimizes wide format printing workflow. 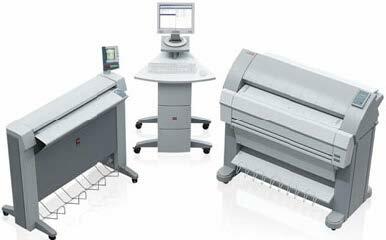 With flexible configuration options, it can be used as a plotter, central production printer or commercial printer for high quality, high-speed printing. The Océ TDS600 lets you effectively handle technical document printing, copying, scan-to-file and finishing in workgroup or centralized environments. This multifunction system brings ultimate quality, productivity, ease-of-use and reliability to your technical document workflow. And, in doing so, lets you improve your core business goals, such as time-to-market and customer satisfaction. The Océ TDS450 offers a flexible printing, copying and scanning solution that meets your business’ productivity, quality, and cost efficiency requirements. 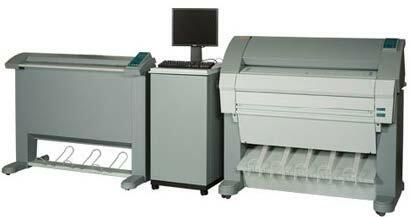 With its advanced features, intuitive user panel, and optional full color scanning capability, it makes an ideal walk up print/copy solution now and for years to come. The Océ TDS400 is designed for the most challenging environments. Its decentralized document production can reliably accommodate multiple users and tasks effortlessly, which helps improve your efficiency. A productive system for an effortless workflow, the Océ TDS320 is simply designed to ensure that employees spend less time printing and copying drawings and more time on their core responsibilities.